This beautiful bay mare is a registered National Showhorse (Arab x Saddlebred) but we do not have her papers . Her registered name is Korea Norsk but her barn name is Bailey. She was foaled in 1998 and stands approximately 15.2hh. Bailey came to MHARF during a July 2016 Crow Wing County humane case in which she was rescued from flood waters. She came in with Willa, who we believe is her daughter. 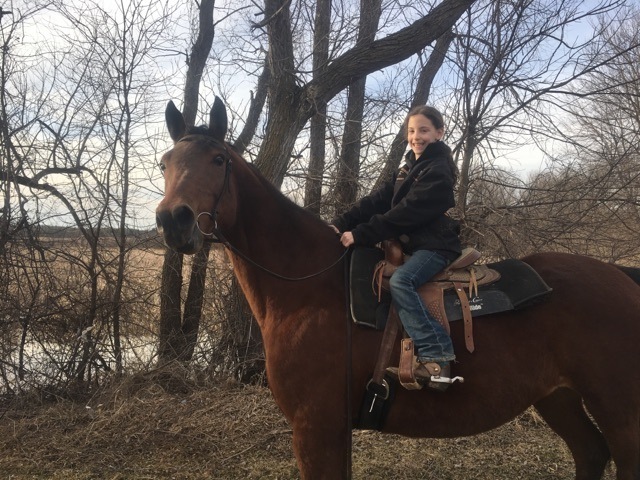 She was broke to ride as a younger horse and we sent her to refresher training with Dustin Freiheit in 2017. 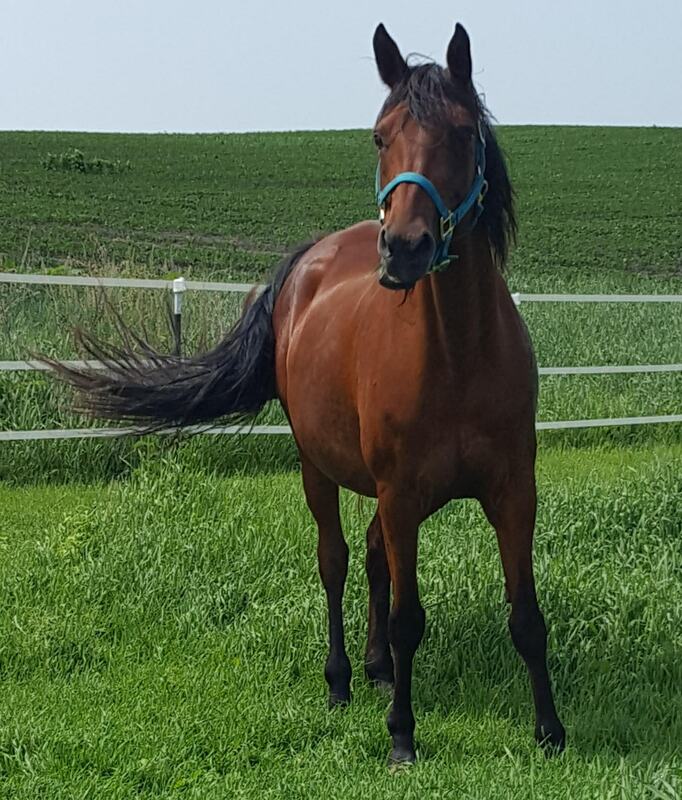 He says she is a very nice mare and would make a great trail horse for a rider who is intermediate to advanced. She has not been ridden yet this year so will require a little refresher training.